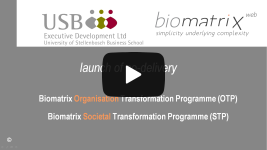 Edited version of the official launch of co-delivery of the Biomatrix programmes by University of Stellenbosch Business School – Executive Development and BiomatrixWeb. Part 1 outlines why are the Biomatrix Organisation and Societal Transformation Programmes unique and why are they needed. 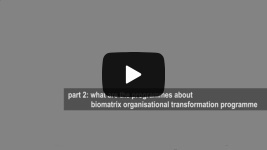 Part 2 explains what is the Biomatrix Organisation Transformation Programme about and outlines the framework, the three-dimensional matrix. 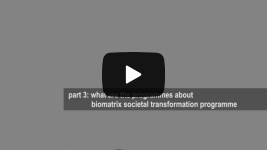 Part 3 explains what is the Biomatrix Societal Transformation Programme about and illustrates the framework on a case study of the energy supply chain. Part 4 outlines how are the programmes delivered and what are the various phases.